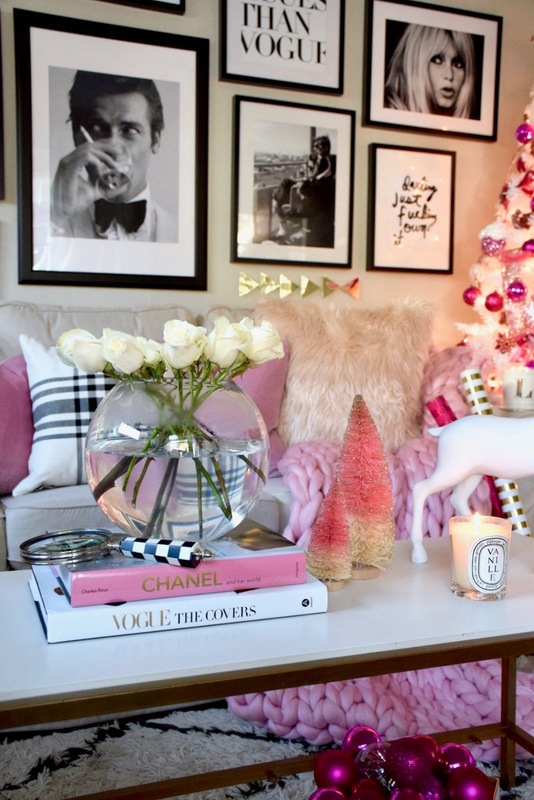 What is finished is the Christmas decor in my daughter's apartment. 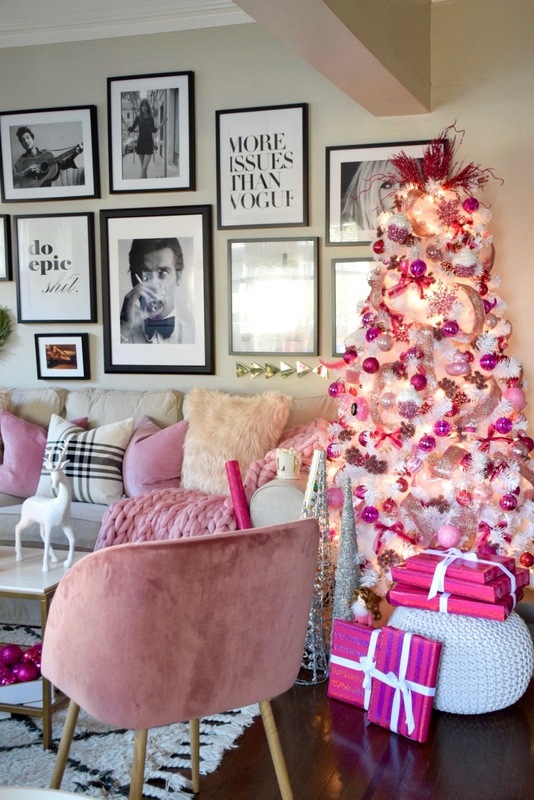 As always it's all pink because that's what her favorite color is. 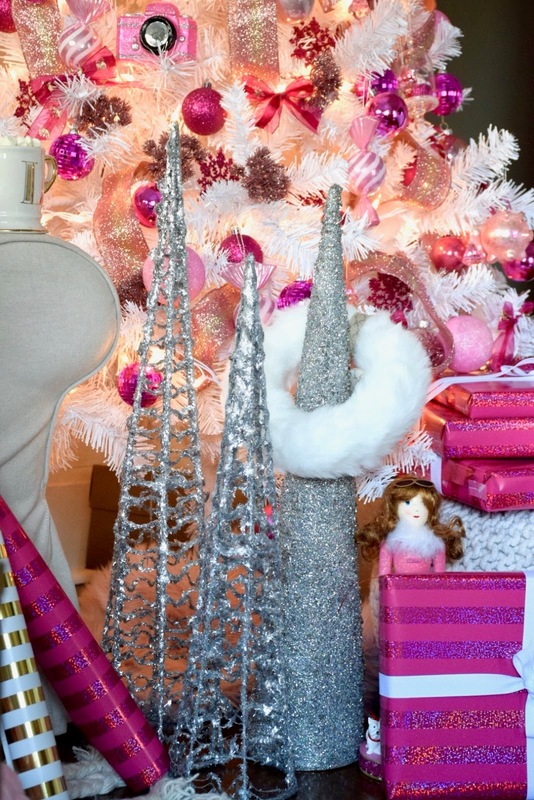 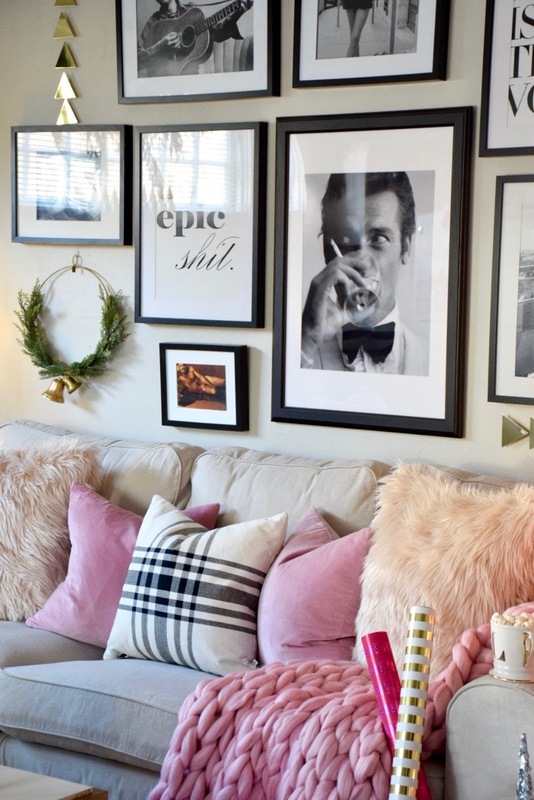 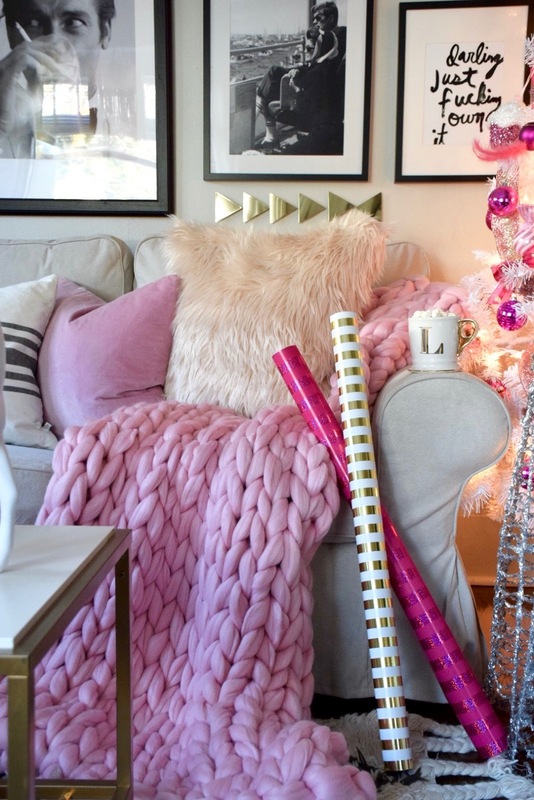 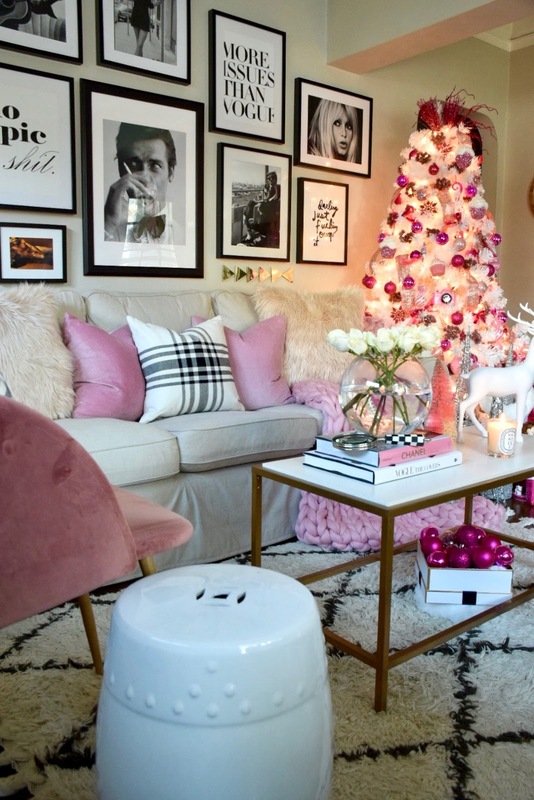 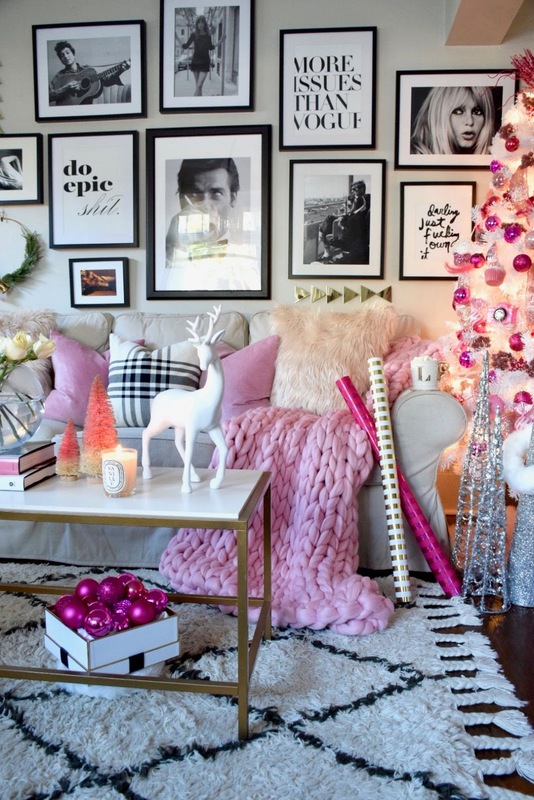 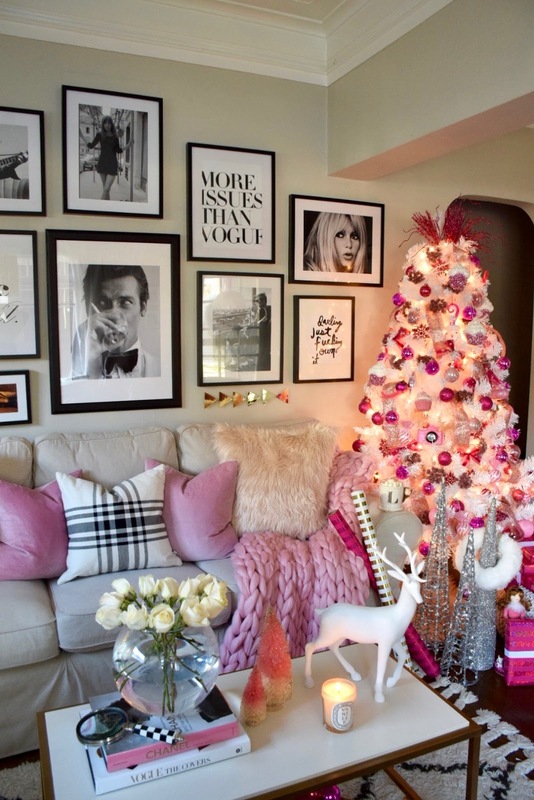 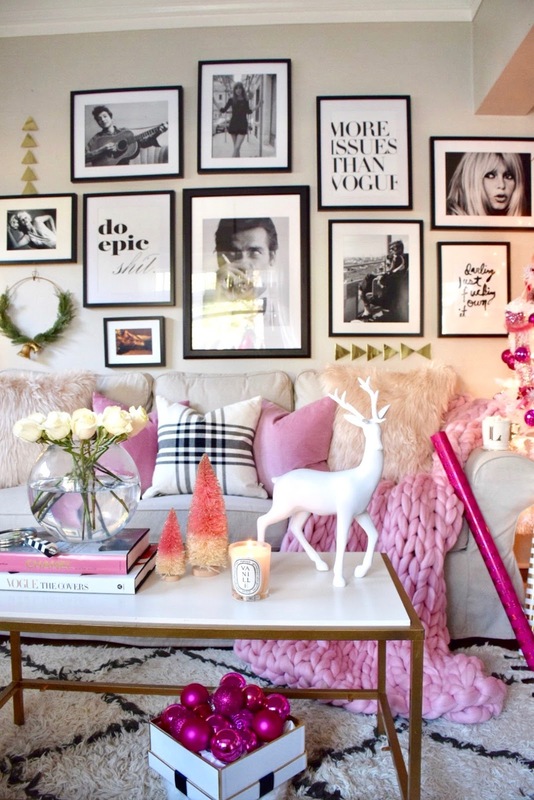 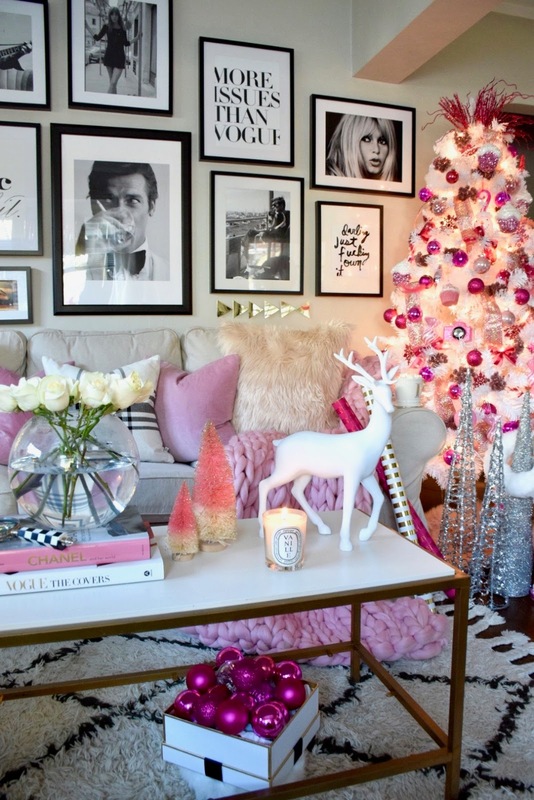 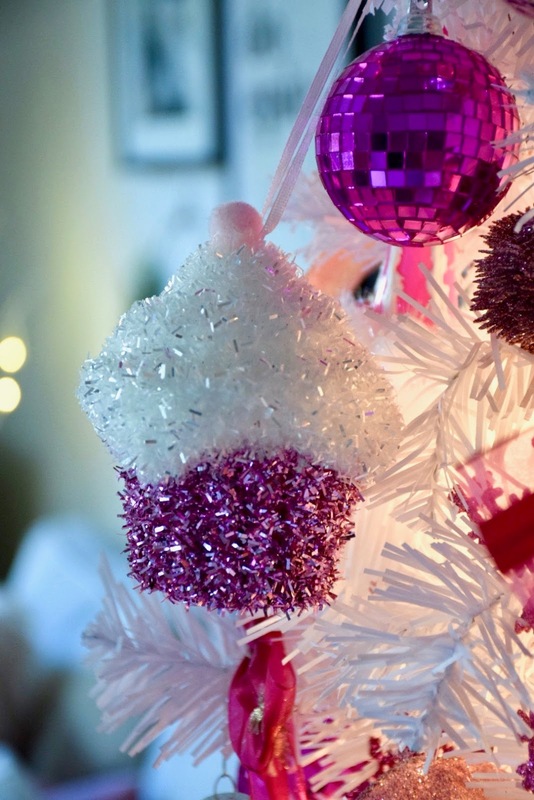 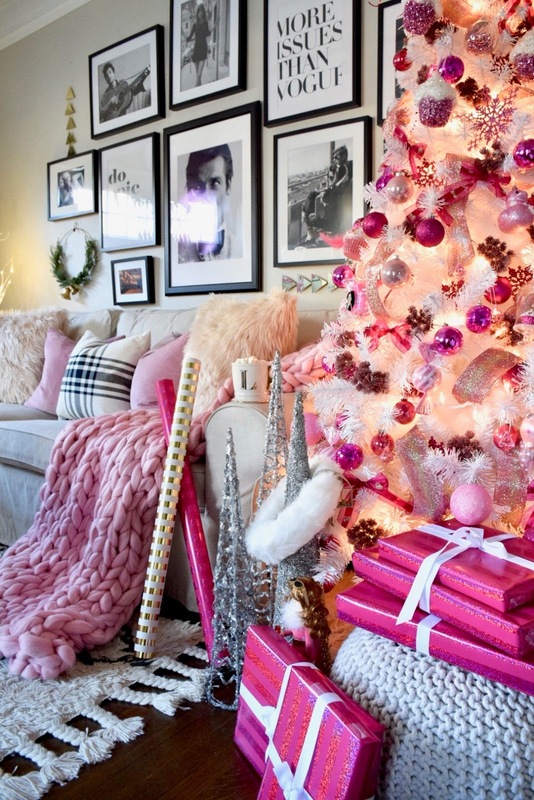 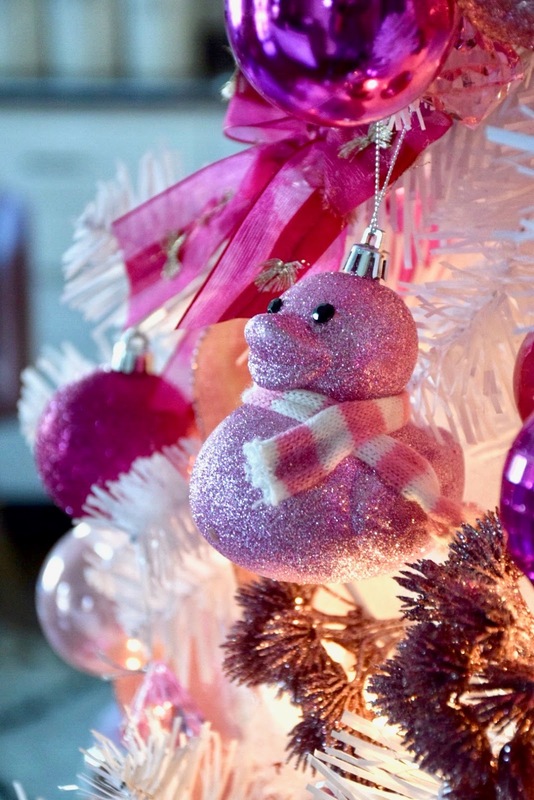 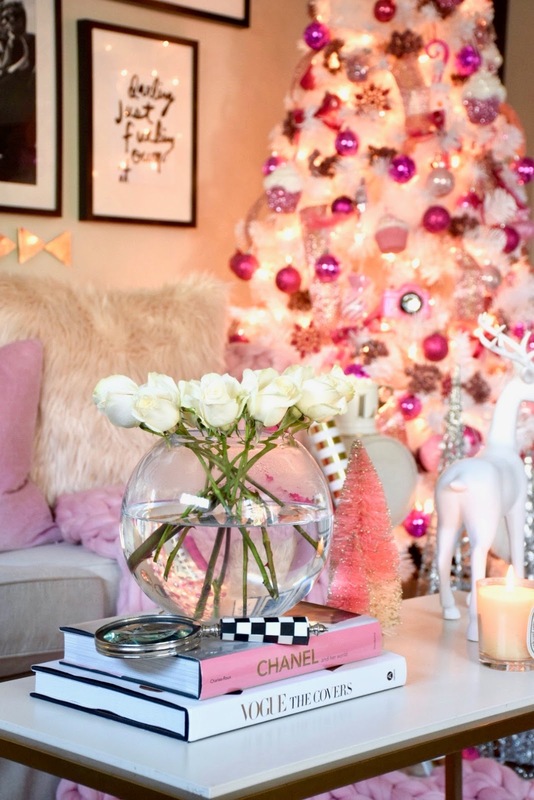 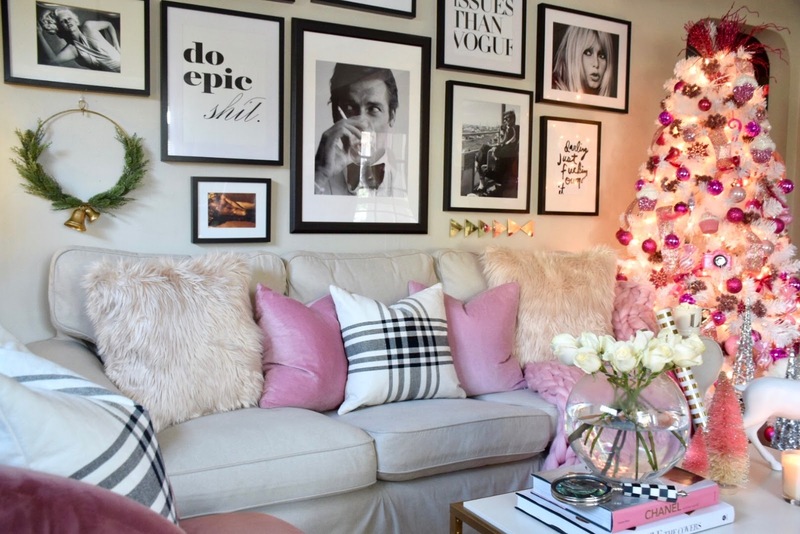 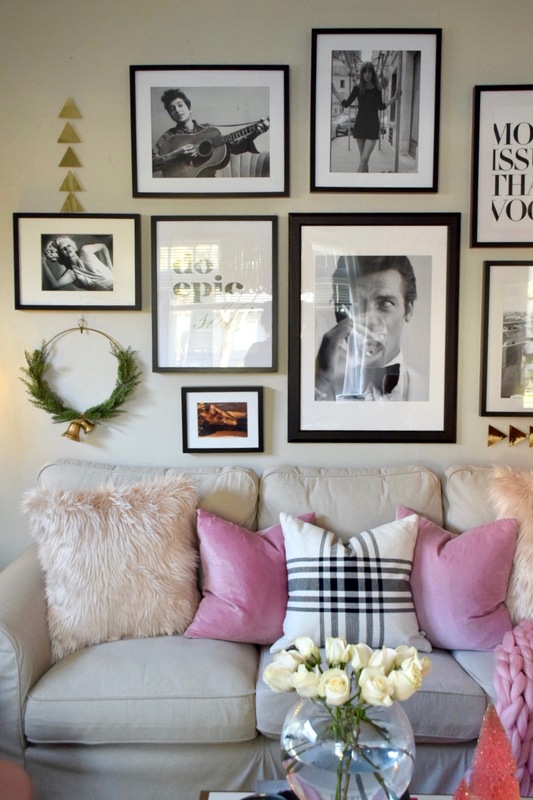 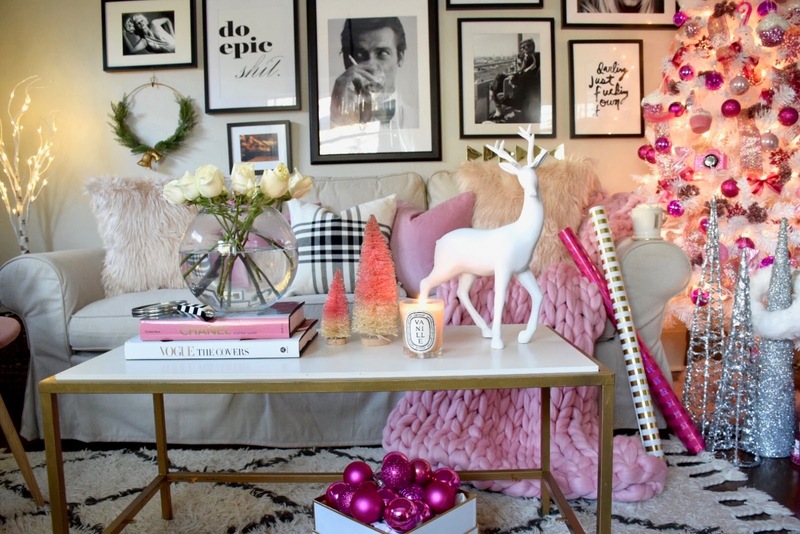 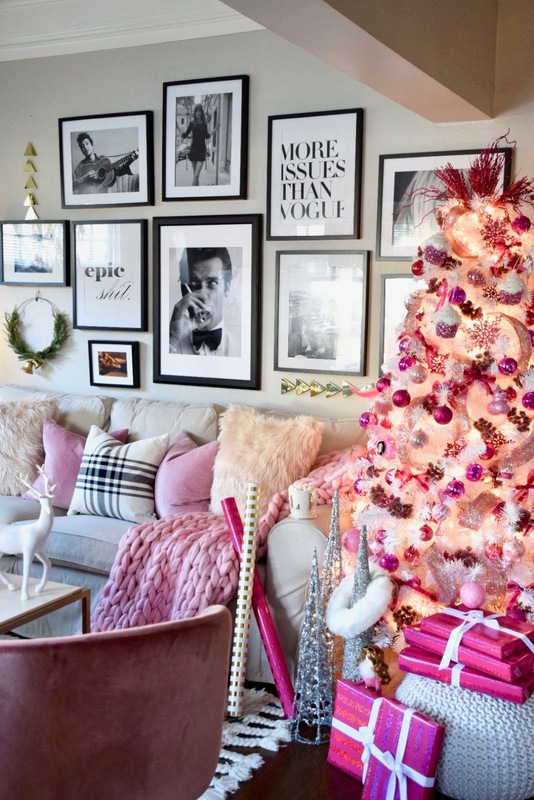 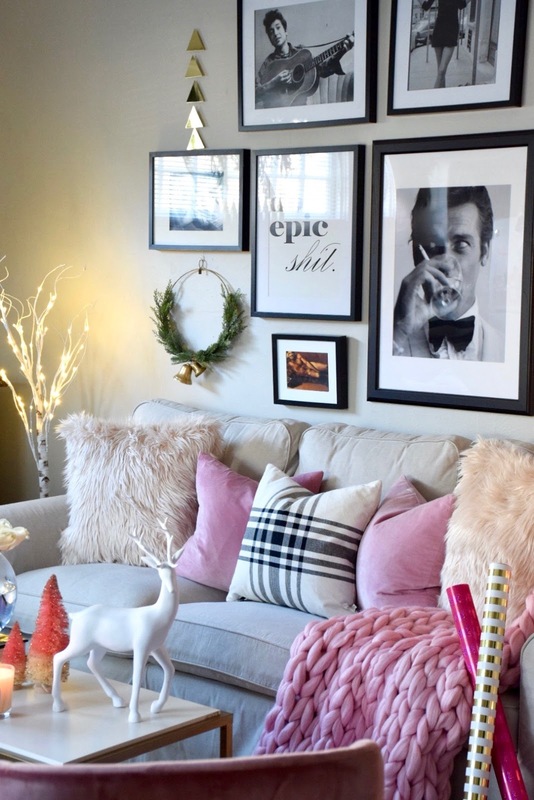 Not to mention, I love decorating in pink! 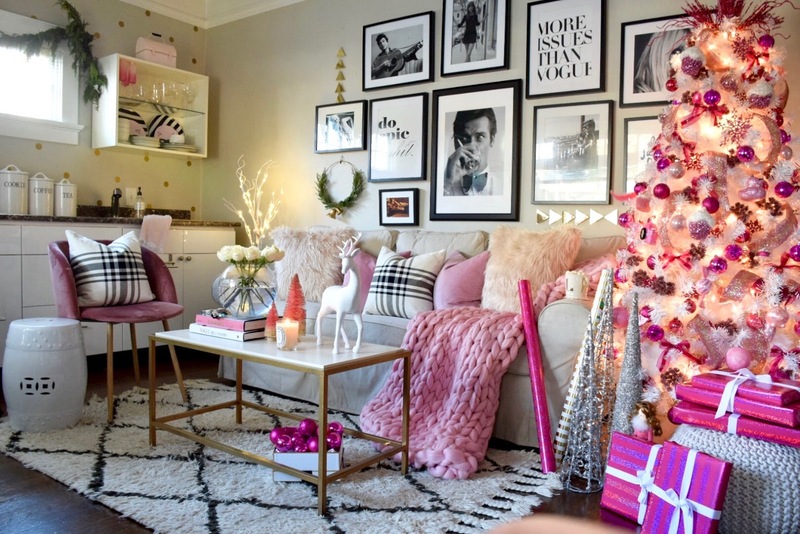 As some of you know, her apartment is not very big. 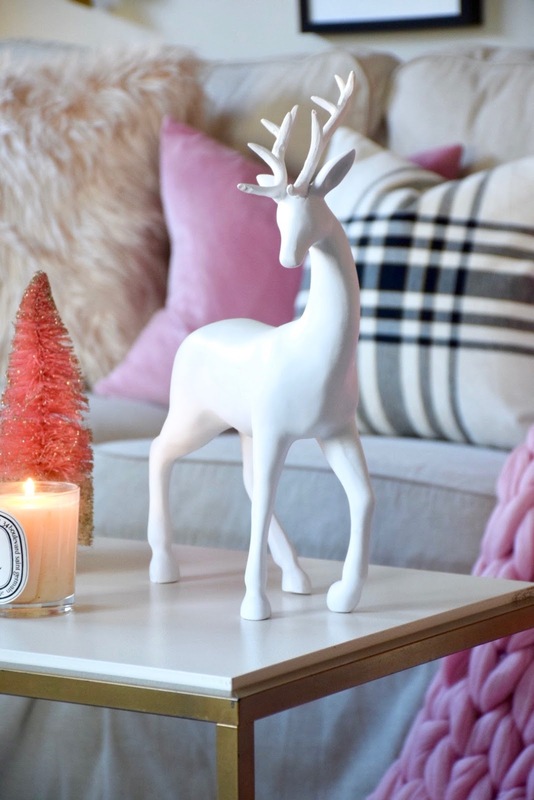 It's small and cozy and I love to decorate it during this time of year. 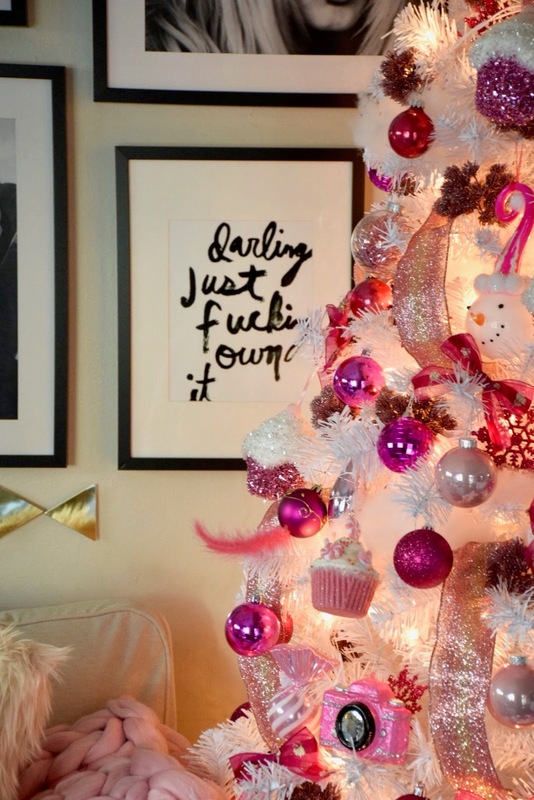 It doesn't need much to look fabulous! 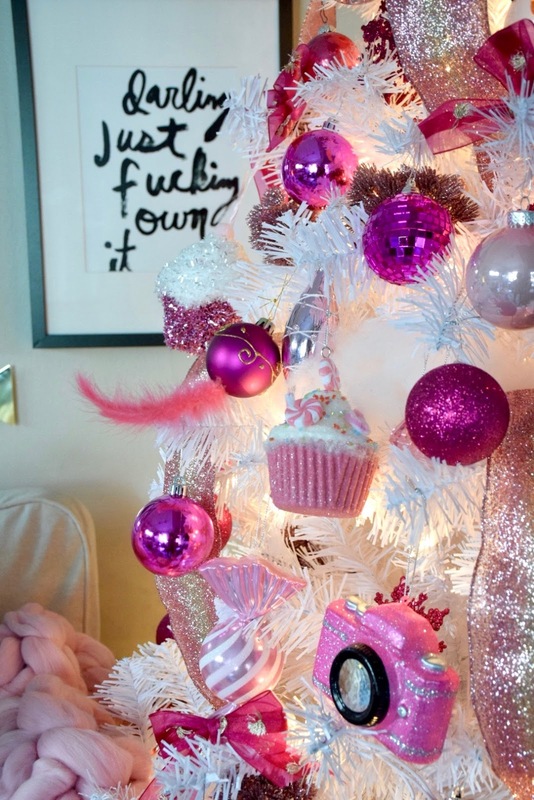 For now, I'm going to have to let you all go as I have millions of things I need to get done. 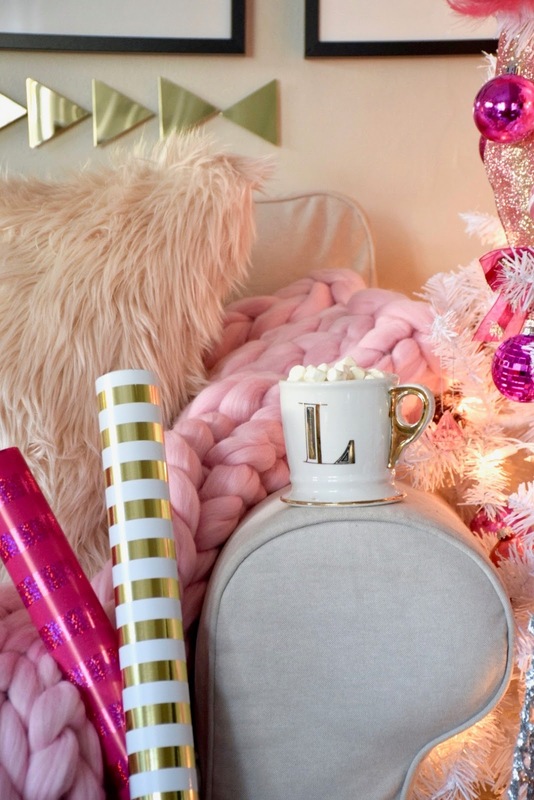 I need to start my shopping! 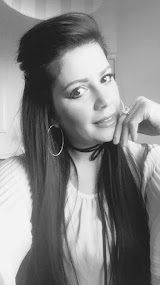 I'll be back with more soon. 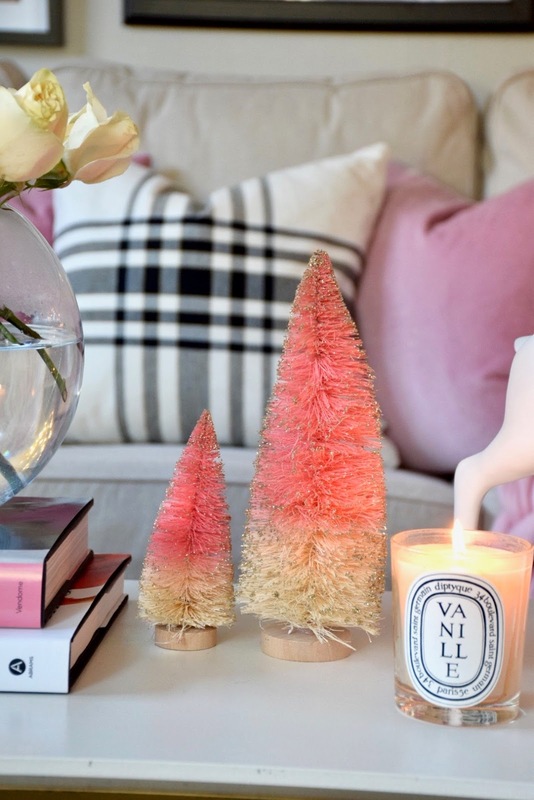 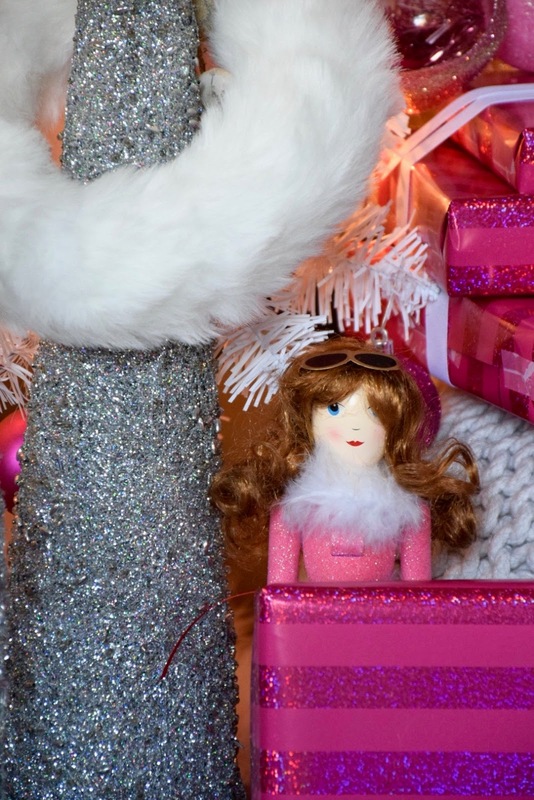 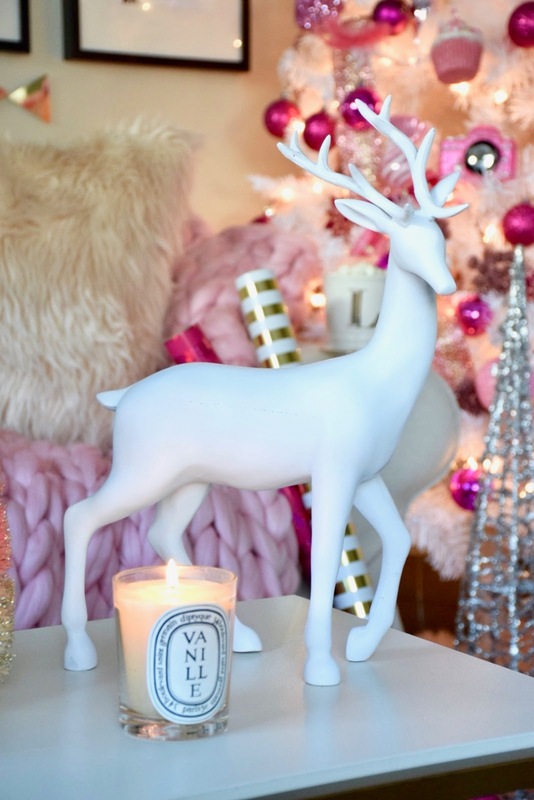 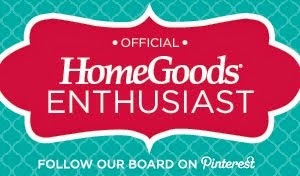 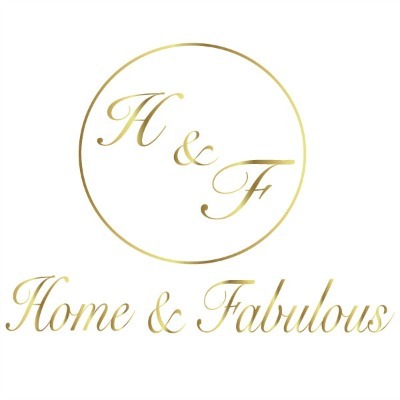 In case you missed it, some of my Christmas posts are live on the HomeGoods blog. 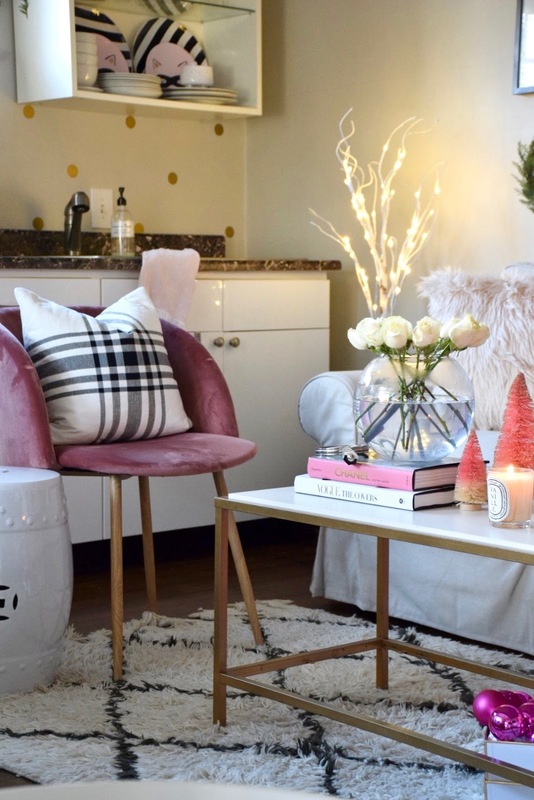 You can click HERE to see the living room reveal and HERE to see the Christmas bedroom makeover. 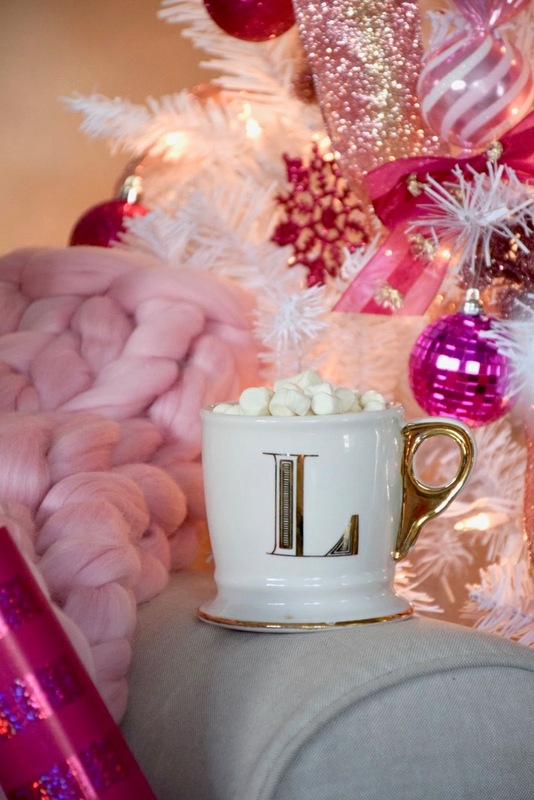 We'll chat soon and I hope you have an amazing time with your friends and family! 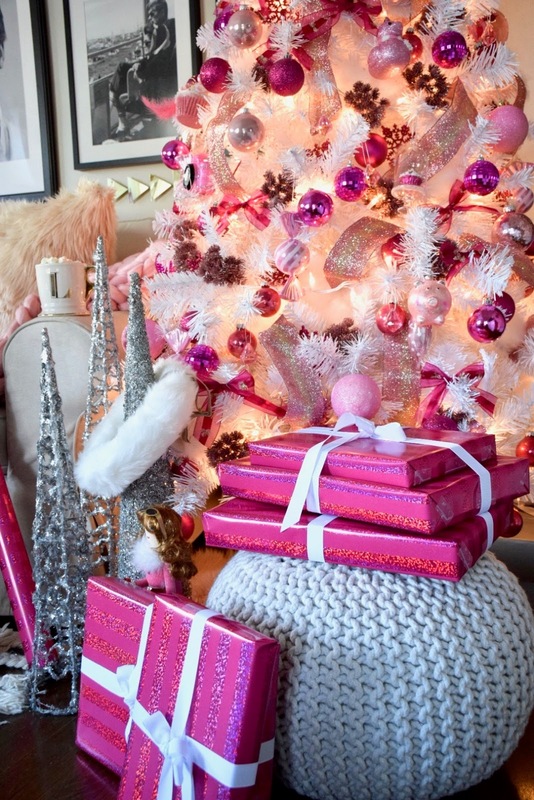 From my family to yours, we wish you a very Merry Christmas and a Happy New Year!